Explanation: Fomalhaut (sounds like "foam-a-lot") is a bright, young, star, a mere 25 light-year trip from planet Earth in the direction of the constellation Piscis Austrinus. 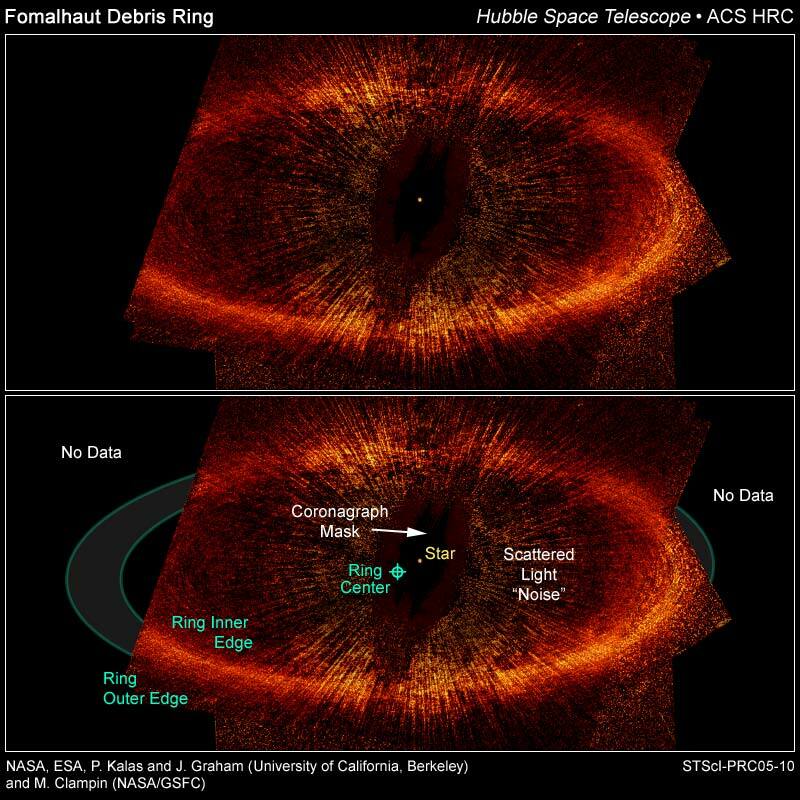 Earlier infrared observations identified a torus of cold material surrounding the nearby star but the panels above detail the sharpest ever visible light-image of Fomalhaut's dusty debris ring, recorded by the Hubble Space Telescope's ACS camera. Overwhelming glare from the star is masked by an occulting disk in the camera's coronagraph. The off-centre ring with a sharp inner boundary is taken to be strong evidence of a massive planet orbiting far from Fomalhaut, shaping and maintaining the ring's inner edge. 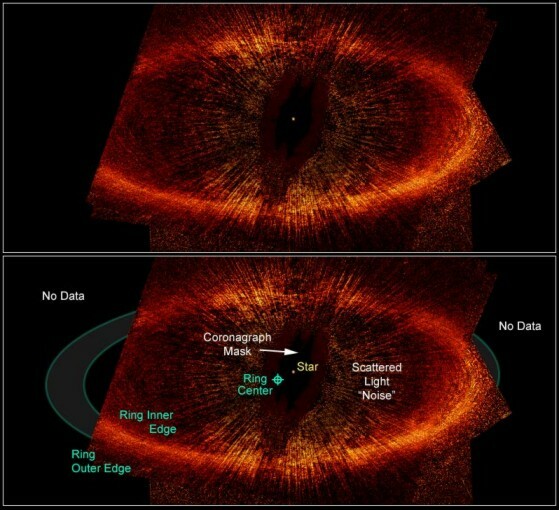 Starting 133 astronomical units (Earth-Sun distances) from Fomalhaut, the dusty ring itself is likely a larger, younger analog of our own Kuiper Belt - the solar system's outer reservoir of icy bodies.